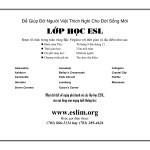 ESLIM spends thousands of dollars every year on student recruitment. Our combination of mass media advertising and direct personal contact is a highly effective recruitment tool — one that few individual churches could afford on their own. We believe that personal contact is key to successfully placing students in a program that fits their needs. Accordingly, we return all calls and emails promptly. 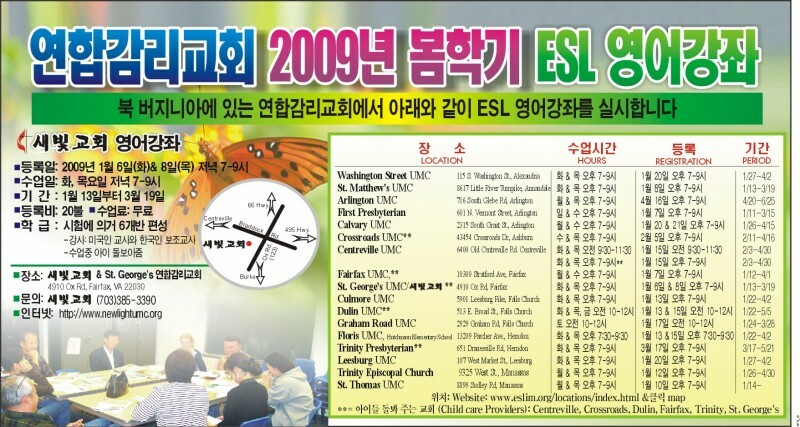 As one of the oldest faith-based ESL programs in Northern Virginia and the District of Columbia, the ESLIM name has tremendous value. 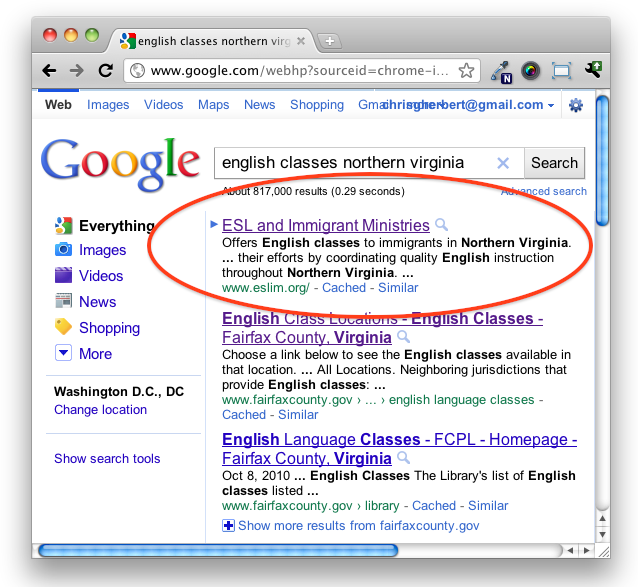 We are one of the first places that potential students and volunteers check on the Internet — search Google for “English classes Northern Virginia,” and ESLIM’s website is among the first results listed. 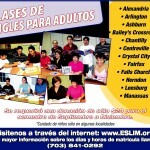 To ensure that we reach as many potential students as possible, ESLIM engages in mass media advertising. 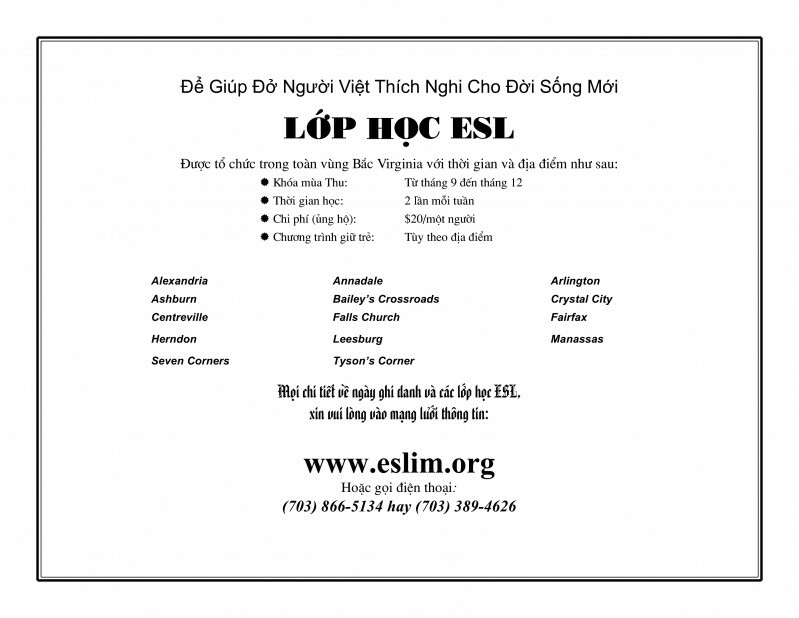 We place paid advertisements in newspapers such as Washington Hispanico, the Korea Times, and Vietnamese-language newspapers such as Viet Bao and Thoi Moi. 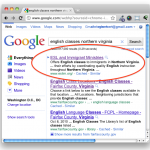 At various times we have experimented with ads in Farsi, Japanese, and Chinese language newspapers.